Julie Lennard to be Chief Executive of the Driver and Vehicle Licensing Agency (DVLA). Julie Lennard has been appointed as the new Chief Executive of the Driver Vehicle Licensing Agency (DVLA). Ms Lennard will take up the post shortly and has been DVLA’s interim Chief Executive since March. Prior to this she was DVLA’s Director of Strategy, Policy and Communications, held since August 2014. "It is with great pleasure that I welcome Julie Lennard to the role, leading DVLA at such an important time as it develops into a digital hub for motorists. Julie is an experienced and talented leader and brings a wealth of experience to this crucial role." 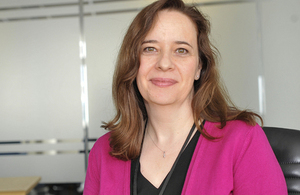 Ms Lennard is the first woman to be appointed as DVLA’s Chief Executive. In her previous role as Director of Strategy, Policy and Communications, Julie was responsible for delivering the organisation’s business strategy and policy development, overseeing a directorate that also includes data protection, Parliamentary liaison and communications. Prior to this, Julie worked at The National Archives where her responsibilities included developing strategic policy relationships with senior stakeholders and overseeing Parliamentary and legislative issues. Julie has also worked for Which? one of the largest independent consumer organisations in Europe, in a range of roles including as a journalist and representing the campaigning organisation to government departments, agencies and other stakeholders at a national and international level.